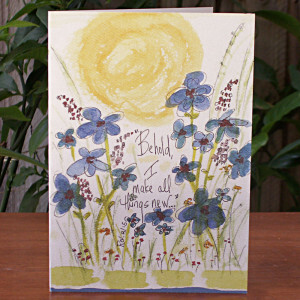 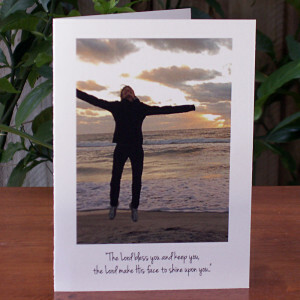 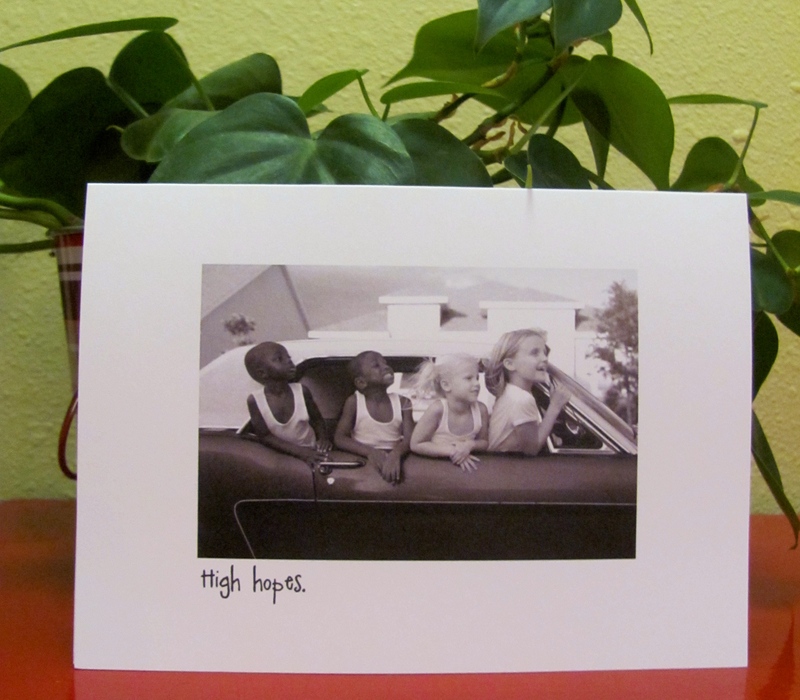 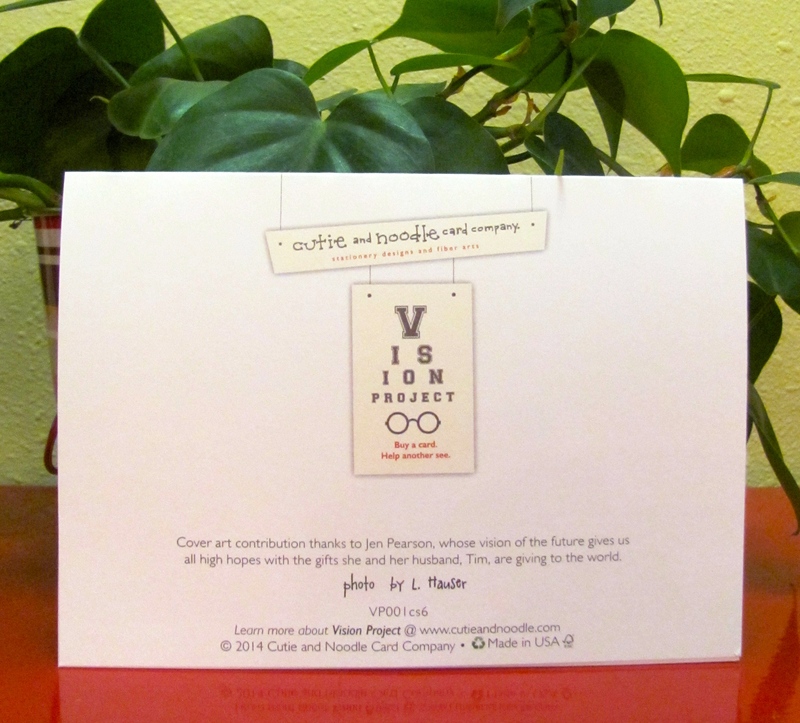 ‘High hopes.’ Blank inside…this card has endless possibilities …birthdays, new job, graduation, moving…and just maybe a card of encouragement for someone who needs to be reminded of hope. 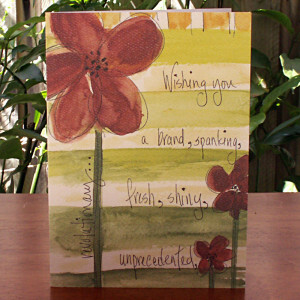 That’s why we left this card blank. 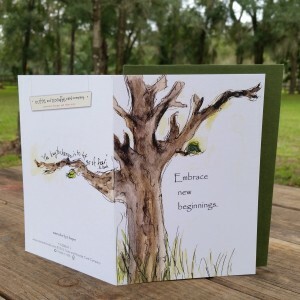 The design is printed on heavy card stock paper approved by the Forest Stewardship Council promoting responsible management of forests worldwide, as is true of all of our cards.